We know you’re not actually fruit-shaped, but we still think you’re pretty sweet. Trying to identify your body type can be one tricky task. Tape measures, celebrity photos, and mathematical equations are all a bit much if you ask us. 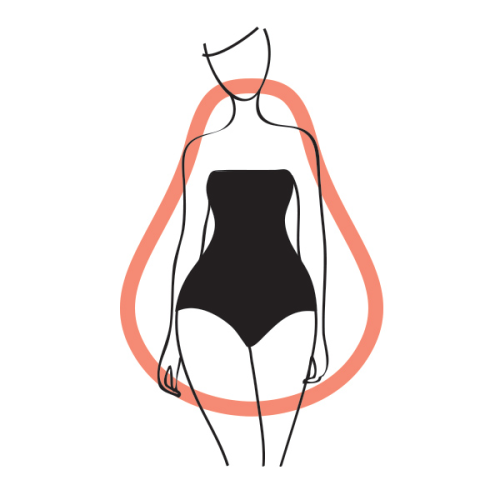 We’re here to help you define your body shape by keeping it simple. Instead of focusing on the archaic do’s and don’ts of dressing, we’ve focused on the value of flattering your body type with pieces that will become your body’s new best friends (if they aren’t acquaintances already). We like to think of these tips more as guidelines because let’s face it, life is too short to not break the rules once in a while. You have full hips that are wider than your bust and a slim-to-average waist. Eye-catching embellishments at the neckline bring the focus towards your lovely face, while beading along the shoulders or a playful statement sleeve is a great way to visually balance your shoulders with your hips. We’re all for a gorgeous hue and for the pear body type, pants in a rich dark shade are flattering and more interesting than head-to-toe black. 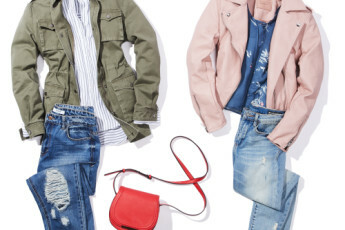 A utility jacket that cinches at the waist is an ideal casual outer layer. Better yet, it’s a curve-enhancing piece that you can plan on keeping for years to come. Ditch your basic blue jeans and opt for a pair with raw hems or subtle distressing. They draw the eye downward which visually creates balance for the pear body type. • When selecting a top, any neckline will flatter your frame, but we’re particularly fond of a cowl or boatneck for the pear body shape. • Tops with statement sleeves or embellishments add personality to your ensemble and visually balance your shoulders with your hips. 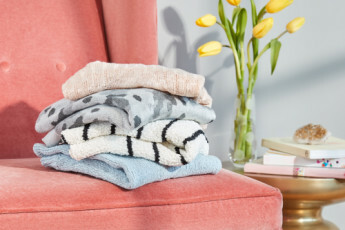 • Off-the-shoulder tops may seem like the obvious choice for emphasizing your shoulders but bear with us—if you’re getting a bit tired of this trend, try an updated alternative like a one-shoulder piece to shake things up a bit. • Balancing your silhouette can just as easily be done by adding volume or detail along the hemline. Pair a fitted top or sweater with wide-leg pants for a well-proportioned outfit. 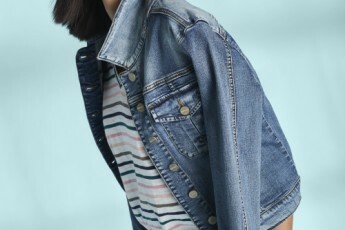 • Selecting a jacket that highlights your waist is a must for your wardrobe. Whether it’s a cropped number that hits at your natural waistline, or a tailored cinched-in piece, you can’t go wrong. • We can all agree that practically having to do jumping jacks to get into our high-waisted jeans is not our favorite way to get dressed. Finding a pair with a bit of stretch will not only avoid the spontaneous workout but provide a ton of comfort while flattering your curves. • If you’re in need of a dress, whether it be casual or formal, fit and flare or A-line dress are ideal for your figure. They’ll define your amazing waistline while comfortably skim over your hips.